The Integre GPS Tracking Core. 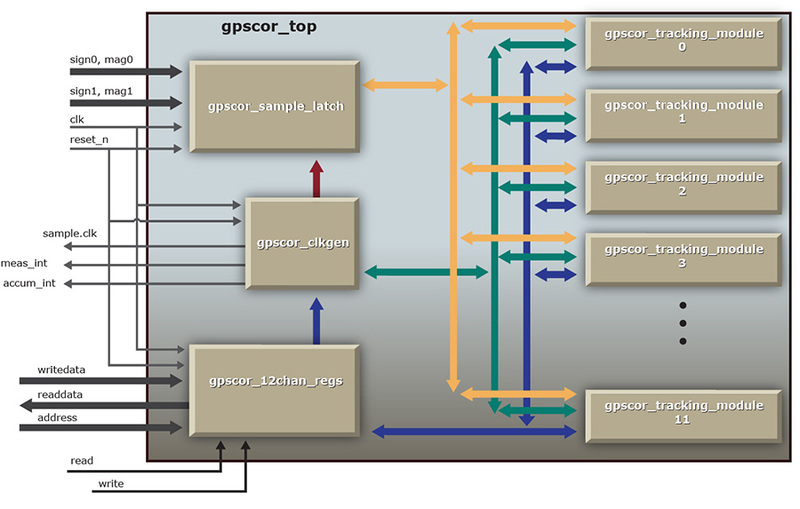 IP-GPS-BTC12, is a 12-Channel C/A code baseband tracking core designed to be used in FPGA implementations. The core provides the GPS correlation, acquisition, tracking, timing and navigation data extraction functions and is compatible with most 16 and 32 bit microprocessors. The IP-GPS-BTC12 processes up to 12 channels at one time and supports individual channel deactivation. The IP-GPS-BTC12 is suitable for GPS receiver applications, navigation applications, and GPS time applications.